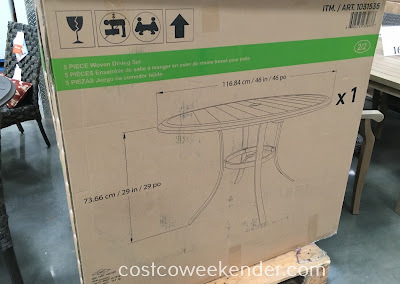 It's nice to be able to relax outside in your backyard or patio when the weather is nice, but that's only feasible if you have the proper furniture for it. 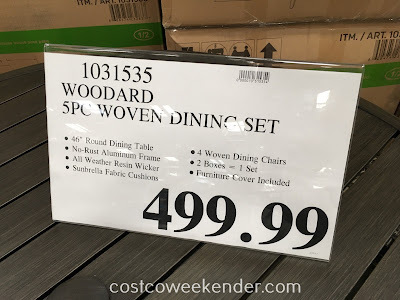 It's a good thing Costco has the Woodard 5-piece Woven Dining Set. 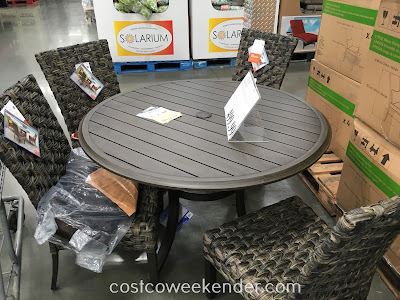 It features a round table plus four chairs, so that you and your family can dine outside when it's warm out. 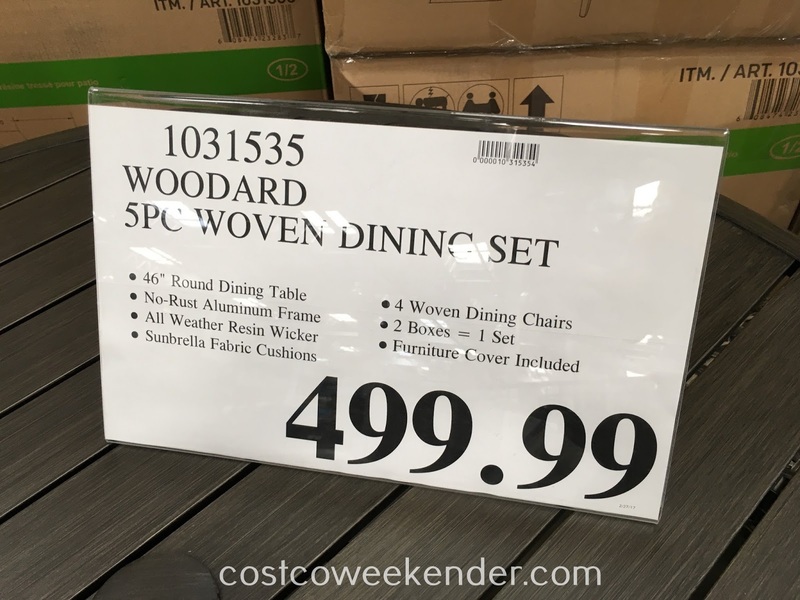 You can have breakfast and read the morning news at this dining set. Also, this is great anytime you have a barbecue or any other outdoor gathering. 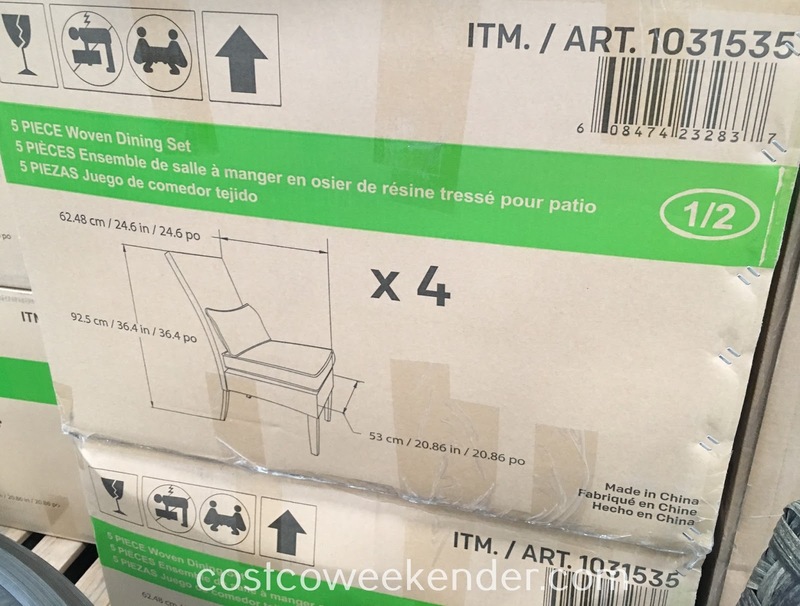 It's great for any patio or backyard. Having good furniture for your patio gives you more of an incentive to be outside instead of being cooped indoors all day.